- Adding new item from the AutoFill Password and Enpass Safari extension- Earlier Enpass only autofills the login details in Apps, Safari browser. But from now onwards, you can create a new item by manually entering the details from the AutoFill Password and Enpass Safari extension itself. - The identical characters (like I and l, 0 and O, etc.) in the password field will now have different fonts making them more clear and readable. 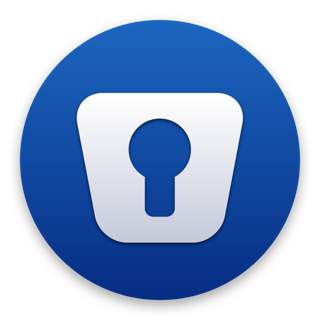 - For Apple Watch users, if a PIN is set for the Enpass app on Watch, then the app will ask for the PIN every time you access any information. - Removed the limitation where the app wasn't allowing the Note field of an item to be shown on the Apple Watch. - Improved the attachments behavior which now allows adding attachments to the Note Category. - For iCloud sync users, the sync errors messages are more clear and descriptive. - A bug causing the app to slow down while searching for information has been fixed. - A bug where unlocking the app with sync enabled made the app unresponsive for a few seconds. Fixed. - For those using Multiple-vaults, the customs icons were not syncing across devices. It’s now fixed. - Fixed a glitch in the UI where the multi-line field was not adjusting itself as per the text entered. - Fixed a rare issue which sometimes showed the All Items list as empty. - After setting up a secondary vault by restoring data from the cloud, the app changed the previously set vault icon. Fixed. - While sharing an item, if only Note field was selected from All Fields then the share option got disabled. Fixed. - Resetting Enpass via 'Erase Everything' under Advanced settings didn't clear the manually set 'lock on leaving' and 'Auto-lock' time intervals in the app security settings. Fixed. - In iOS 9.3, unlocking app via Touch ID sometimes made the app to crash. Fixed. - The item count wasn't updating under the Group tab if an item is added or removed from a section. Fixed. I've been using Enpass for years now and the app is great. However, it could have some improvements. 1. The sidebar and the options beside that (sync, setting, lock and generate password) look congested. The design for that bit could be a bit better though of. 2. Why limit password generation to 50 characters? Love the 100 character passwords on Mac. 3. Copying data in an entry in the app doesn't work always. Sometimes I tap and hold to get the option to copy but many times I have to try 3-4 times to get it to work. Thanks for the feedback. All these are already in our roadmap for next major release. Good app, but no export feature. Any password manager “must” allow the data to be easily exported in “open” format. I am afraid to store hundreds of passwords in any app which locks it down in their own formats. Because, when and if, I want to move to another app, then I shouldn’t have to manually type in all that info all over again. Edit: Updating the star rating because of helpful reply from the developer. I tried 1 password last year. But it too expensive and not very user friendly. I am using enpass since last 4 months now and keeping all my password in there. Very fast sync and never had any trouble till date. I have around 300 passwords. Very fast and no nonsense app. Keep it up.